Source:Product of the Year (India) Pvt. Ltd. 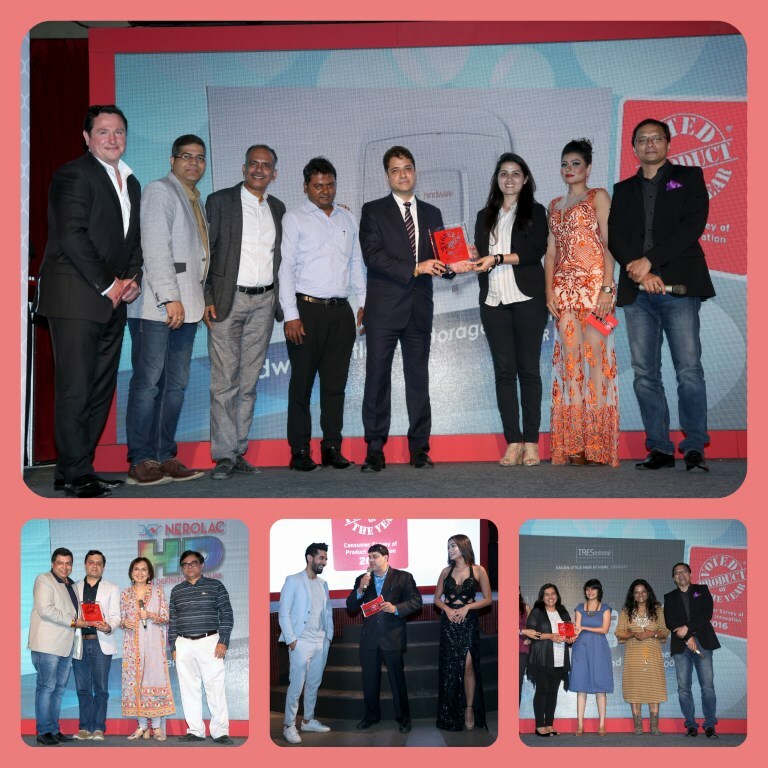 The ninth edition of the Product of the Year Awards in India was an extravaganza worth remembering for some great brands and Cyrus Broacha’s sense of humour. Hindustan Unilever’s Lakmé and TRESemmé, Marico, Hindware, ICICI Prudential, Sun Pharma, Philips and Cargill were some of the brands that were felicitated for their innovative products. It was a fun-filled night full of music, psychedelic lights, laughs, friendly rivalries and even stronger revelries at the ninth Product of the Year Awards, 2016 India edition, on 19 March, at Blue Frog, Mumbai. The event, showcased some of the best products in the country that were filtered through a pan India consumer survey conducted by their Research Affiliate Nielsen India. The OOH partner was Future Media. Zee Business was the media presenter and DNA was the print partner. The host, Cyrus Broacha disarmed the audience with his trademark humour, including the fact that the show was on the night of the India Pakistan World T20 game, and joked that if Pakistan won then everyone would be forgiven for attending the award show. 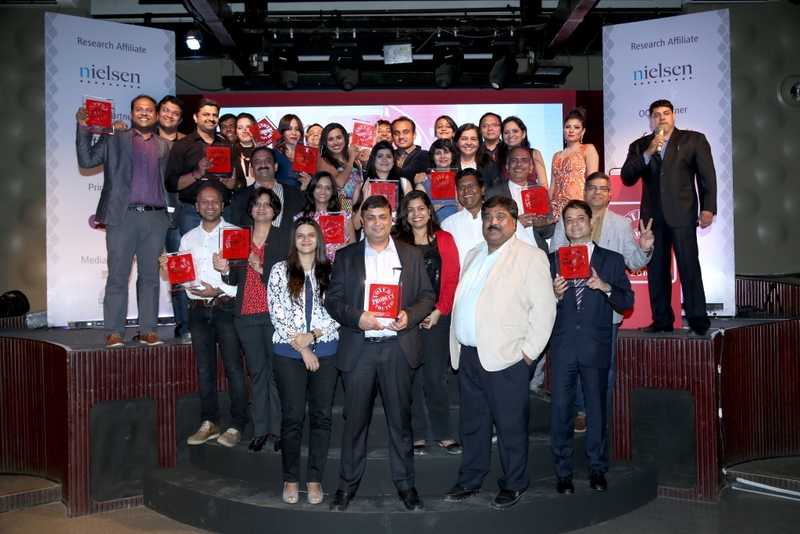 Following this, a video on winning products was showcased with bytes from leading names in the FMCG sector, as well as bytes from some jury members who lauded the unbiased nature of the awards. Raj Arora, CEO - Product of the Year India, while speaking of the awards that are now almost three decades old, said that the idea behind the awards was to get consumers directed to the best products in the market and also to reward manufacturers for their quality and innovation. He mentioned that a large number of winners continue to report a meaningful upward tick in their sales and market share. The guest of honour, Rana Barua, CEO - Contract Advertising , said, “It is an interesting concept because we as advertisers, deal with clients and try and understand the product. Innovation is an important word. It is a must for every brand. When classical organizations decide to change and play the game of innovation, that is when we know a company is successful. The key is to stay relevant,” he said. Vijay Udasi, Sr. Vice President - Nielsen India, addressed how and why e-commerce India has evolved. “E-commerce industry is pegged at USD 16 billion, with 61 per cent focusing on travel. The reason for this is internet penetration has changed and e-commerce owners are getting more aggressive when it comes to marketing their deals and products available,” he said. Udasi added, “Over 170 million Indians are smartphone owners with Internet connection,” he said, adding that there are those who prefer purchasing certain goods offline. Mike Nolan, Global CEO - Product of the Year, then said, “Innovation matters, but it is not easy. Companies have to be lauded for the work they do. What Product of the Year does is helps people make THAT choice for the best products in the world. Product of the Year gives the brands the extra edge in a competitive market. And that is the ball game. Once you win, what do you do next? One is win the award and forget about it. And the other is talk about it at work and get competitive advantage. Your competitors will fear this,” he said. Product of the Year (POY) – is an international standard of consumer recognition that was founded 29 years ago in France and is currently in 42 countries. It helps guide the consumer to the best products and rewards manufacturers for their quality and innovation. The process of associating with Product of the Year is simple. FMCG companies nominate their products that get filtered by a Jury of eminent citizens. After this preliminary filter, Nielsen conducts a PAN India survey with 7000 consumers. The consumer decides which product has won in its’ respective category.